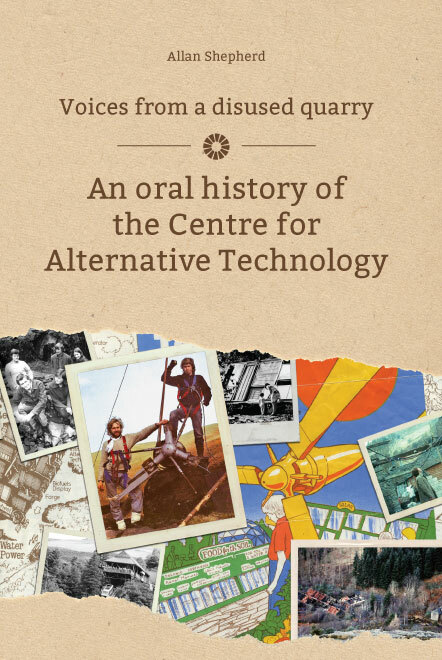 My article Voices from a disused quarry: change making, class dynamics and technological experimentation at the Centre for Alternative Technology has been published in Oral History: The Journal of the Oral History Society. Join the Oral History Society here to subscribe or download a pre-edited version of the article here. This is a peer reviewed 7000 word academic article and goes into much more analytical depth than anything else I’ve written on the subject. It places CAT’s history in its wider social and historical context. I’m very pleased to announce that my book Voices from a disused quarry is published today. The book tells the story of the Centre for Alternative Technology through the oral history testimony of the people who were closest to it: workers, members, friends and neighbours. Based on over 100 interviews conducted during a three year oral history project the book explores CAT’s history of technological development, it’s unique co-operative working structure, its place in Wales and the Dyfi Valley and it’s search for an environmental philosophy based on scientific understanding. The book is available from http://store.cat.org.uk/ and as an ebook from http://www.amazon.co.uk/Voices-disused-quarry-Alternative-Technology-ebook/ Also today we are launching a new website which helps users uncover CAT’s substantial archive of documents, digital and oral history interviews now kept at the National Library of Wales. Visit it here.